In this section you will find answers to the most important topics about our events. For example, how to submit your samples to a Wine Trophy. How much does it cost to submit a wine to a DWM Wine Trophy? Normally, the participation fee for each submitted wine is €135.00*. But, in order to allow individual or small wine-producing companies to enjoy greater participation, we have introduced some special conditions (additional registrations at no extra cost) depending on the cultivation area. Please click on the next link to see the price table. Don’t forget to check also the Asia Wine Trophy offer. If you need some practical examples, visit our example page. I have successfully logged in. How do I register my wines now? You will see the “Wine registration” tab at the left panel. 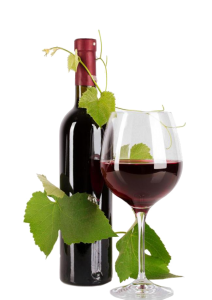 Choose the desired Wine Trophy and start registering your products. If you need extra help don’t forget to take a look at our Registration Instructions. Is it so important to fill in all the wine properties? Absolutely! Please enter all the details such as wine type, alcohol content, acidity, residual sugar, etc. so we can correctly categorize your wine for the competition. How do I know if my wine was correctly registered or not? Please make sure that all obligatory fields are filled out during the registration. As soon as you have saved the submission, it is automatically registered for the Wine Trophy. You should also receive an automatic email from our system confirming this. Remember, you can always check your registered wines on the tab “Wine registration” and then “Registered wines”. My wine has no commercial brand yet. Can I send bottles without a label? You can submit wines without a brand, but the bottles must have (at least) a provisional label to make them recognizable. Can I submit tank samples to the contests? Yes, tank samples can participate in our wine contests. Just make sure the bottles have (at least) a provisional label to make them recognizable. Can I submit other beverages made from grapes? No, in our contests cannot participate beverages such as brandy (cognac), sangría, grappa, vermouth, ouzo, pisco, or any others containing flavorings or additives which are not properly regulated by OIV.